Who said county fair season is over? There’s no reason a pumpkin patch can’t bring back the same memories of booth games, carnival rides and sugary indulgences. Treat yourself to a weekend of classic festival favorites like water bumper cars, giant slides, fun houses and more—all harvest-themed, of course. Beyond a massive collection of varied pumpkins to choose from, the patch is also full of haystacks, corn stalks and gourds (for that epic Halloween party you’re throwing). 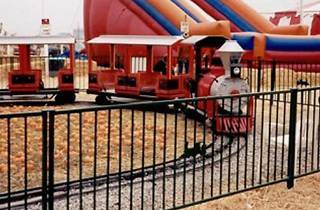 Kids can enjoy a mini train ride, jump houses and face painting. 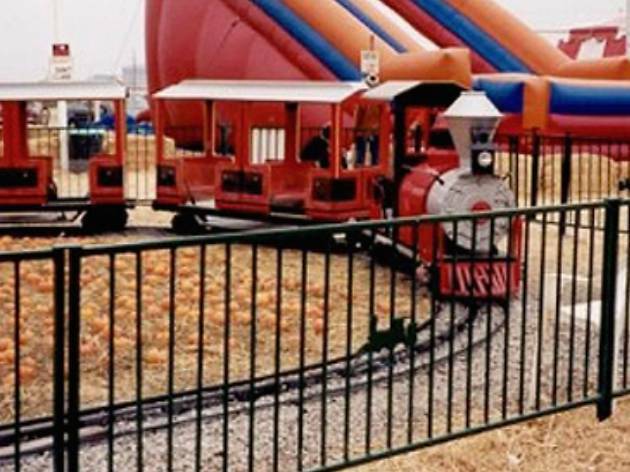 It’s a little kid’s dream, so be prepared to take them to every single ride and game—you'll be a shoe-in for the parent of the year award. Parking is free and discounts can be found on Groupon, Yelp, and Facebook. Did you know how ponies are treated here?